We specialize in manufacturing and exporting a comprehensive range of Welder Apparel. Designed and developed as per international industrial standards to ensure safe and secure usage. Our apparels are manufactured using best quality leather and other fabrics to ensure flexibility and maximum comfort to the wearer. 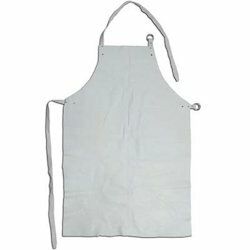 We are manufacturing and exporting a wide gamut of Split Industrial Apron. 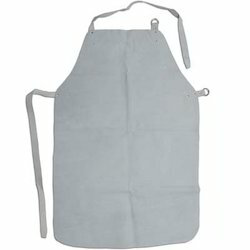 These apron are made for the industrial purposes and they are available in the market in different sizes. It plays a significant role for the labors to providing them a better safety. Grain Apron is save you from the sunshine. 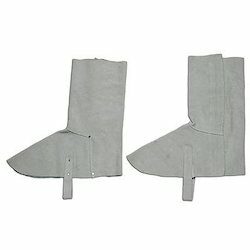 They are the hand gloves, which provided to the arm guards or employees on machine. They are made by the Chromed leather with a soft fabric. Arm Guard are very feasible and reliable for the security purposes. 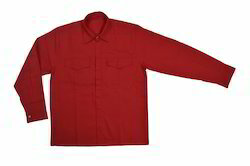 We are providing a wide range of Industrial Jacket. Grain Jacket has a front zip in the middle. It has two pockets with a snap buttons at the both side. They are very long and has a half mid calf. Industrial Split Jacket is very stiff to wear and has a two buttons on neck. Keeping in mind the maximum safety and security of our clients, we manufacture a qualitative range of Leg Guard. These are manufactured from high quality raw materials to ensure durability and chemical resistance. 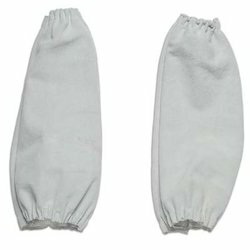 Our range of Leg Guard is specially designed to cover the entire feet and to offer maximum protection against contamination, chemicals and other harmful radiations. We offer Leg Guard in various standard sizes and specifications as per the demands of clients. We specialize in manufacturing and exporting a wide range of¿¿Industrial Grain Trouser. These are developed using high quality fabrics to ensure long service life and wear and tear resistance. Our trouser is sweat resistant and colorfast. With the availability in various standard sizes and specifications, this trouser is offered at reasonable prices. Moreover, we quality check our trousers on well-defined parameters before delivery to offer error free range at our clients' end. We hold expertise in manufacturing a wide range of Split Trouser. Specially designed and developed using best quality leather, this trouser offer utmost comfort to the wearer. Our Split Trouser is available in various attractive patterns and designs as per the demands of clients. Made using upgraded technologies, these trousers offer perfect fitting to the wearer and ensure high durability. 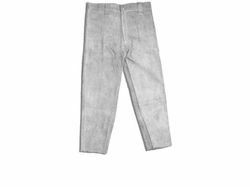 Reasonably priced our trousers are available in various standard sizes.